Hopefully with the last couple of posts I have whet your appetite for wearing more colour. Therefore I thought I’d share the fashion colours that you should be able to find in the shops this Spring/Summer! This is to inspire you to add some new colours into your wardrobe. There is a wide array of colours on offer this season and there is something to suit all skin tones. 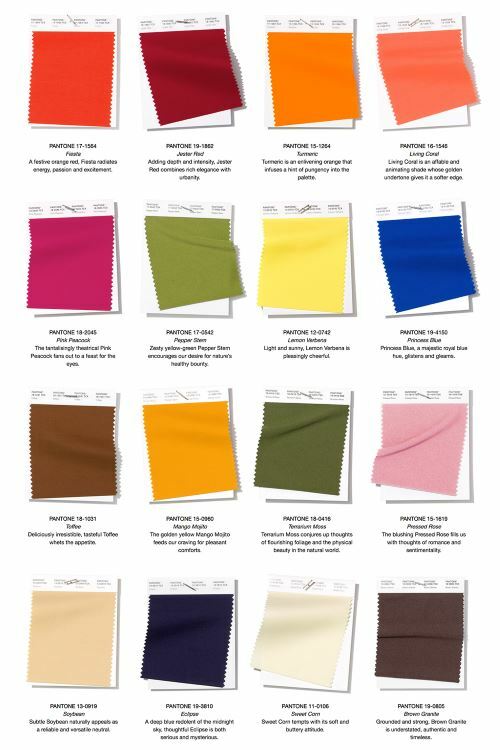 According to Pantone these are the fashion colours that will predominate. 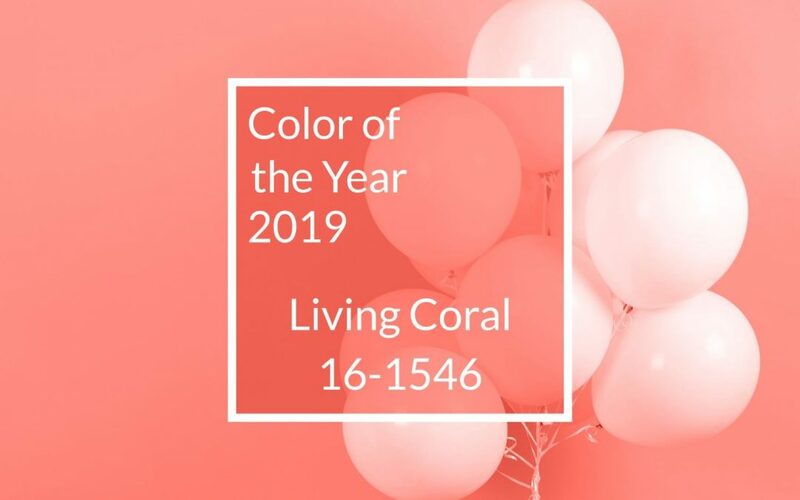 “Living Coral” has being dubbed the Pantone Colour of the Year. These colours will predominate in fashion but also in interiors, fabrics and furniture. Which fashion colours to choose….?? There are lots of warm and bright colours – perfect for all you “Springs”. You can try Living Coral, Fiesta, Mango Mojito and Toffee, plus the neutrals of Sweet Corn and Soybean. Autumns you can focus on Terrarium Moss, Pepper Stem, Turmeric, Jester Red and Toffee, plus the neutrals of Soybean and Brown Granite. Winters you will be tempted by Princess Blue, Pink Peacock, Lemon Verbana and the neutral Eclipse. Summers unusually we have less choice this season but there will definitely be lots of shades of pink available, based around Pressed Rose. For neutrals look for soft versions of Eclipse and off whites rather than creamy whites. If you would like to find out which of these colours would work for you – book yourself a colour analysis session and transform your wardrobe! Click here for more details. Great colours. As a deep winter, coral isn’t one of my colours, so I’ll have to pass on that one this season. Thanks for the heads up Gail. Yes it isn’t a great colour for many people!! Thank you for the guide Gail. I’m not too put out as a summer tone. I am now on the search for Pressed Rose which I love.